Western Carolina redshirt sophomore RHP Chase Walter was today named Southern Conference Baseball Pitcher of the Week by the league office for games played April 15-21. Also on Monday, Walter collected National Player of the Week plaudits for a second-consecutive week from Collegiate Baseball newspaper. “Today was probably our worst practice of the spring – and it wasn’t that it was a bad practice, I just didn’t think we had the effort level and the focus that I’d seen through our first 11 practices,” said WCU head coach Mark Speir. 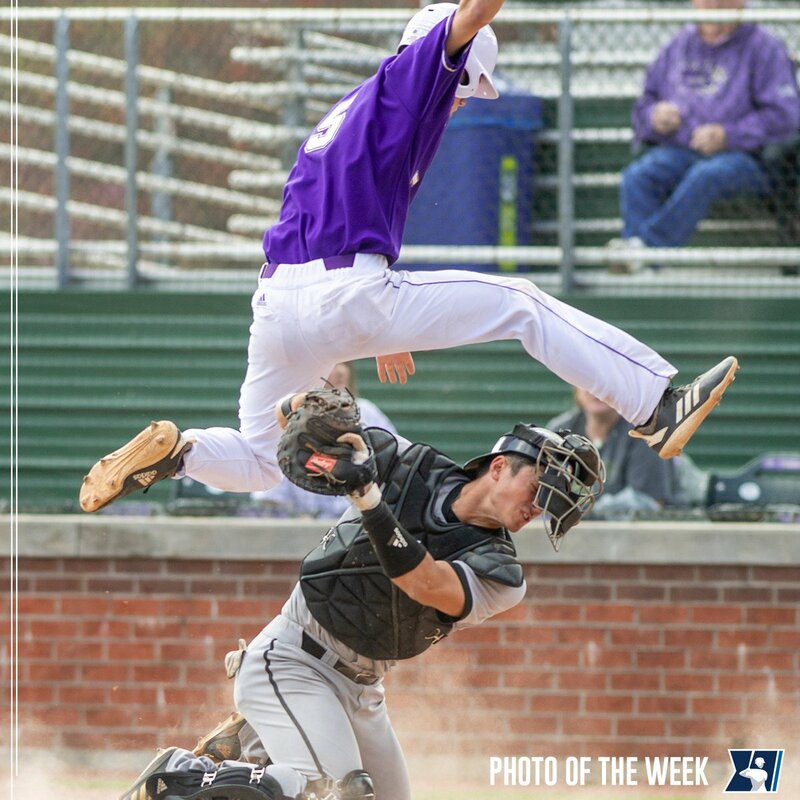 Hurdle at Home - @WCUCatamountBSB sophomore infielder Will Prater tries to hurdle his way home on a squeeze play. Western Carolina junior catcher Luke Robinson appeared on the initial watch list for the 2019 Buster Posey National Collegiate Catcher of the Year Award Watch List released on Tuesday afternoon. Previously known as the Johnny Bench Award, the Buster Posey National Collegiate Catcher of the Year Award honors the nation’s top NCAA Division I catcher as voted on by head coaches and sports information directors and is administered by the Greater Wichita Area Sports Commission. A combined 79 catchers were nominated for the 2019 Buster Posey Award and appear on the initial watch list. Of those 79, WCU will play – or has already played – eight catchers that appeared on Tuesday’s list. Robinson is joined by Bryce Leasure of The Citadel and Anthony Mulrine of Samford from the Southern Conference. A product of McLeansville, N.C., Robinson has been in the starting lineup in all 24 games this spring making the bulk of his starts coming behind the plate, while also finishing games at catcher. He is currently tied for the team lead with eight multiple RBI games and is second on the squad with his single-season, career-best 26 runs driven in. Thirteen of his 27 seasonal base hits have gone for extra bases including six doubles, a triple, and six home runs, also second on the Catamount squad to give him nine career round-trippers. Robinson has already matched his single-season career-high with eight HBPs. Robinson was selected as this year’s Leggett No. 7 Legacy, wearing the No. 7 jersey – the ninth player all-time and third Catamount catcher to receive the honor and just the second underclassman. 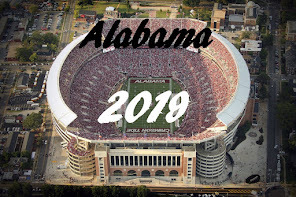 National semifinalists will be announced on May 17 with the list to be narrowed down to the finalists on June 3. The award presentation will be held in Wichita, Kansas, on June 27. We've just got to clean some things up on offense, but I do think that we're at a good place right now. I've again been very excited about where our defense is with the way they're flying around. I just think the whole team has brought a great energy level out through these first four practices,” Speir added. “We've got 11 more days and as we've said, we've got to go make each one of them count. And to this point, I think we've made four of them count. I don't think that we've come out and wasted any time or had a bad practice where we went backward. These four days, we've progressed as a football team. It's a fun group to be around, the energy level and the leadership have been good. 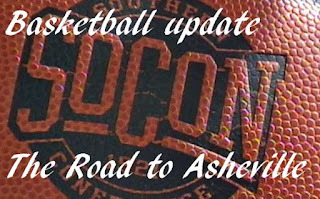 We've just got to come out and have another good day on Thursday,” said Speir. 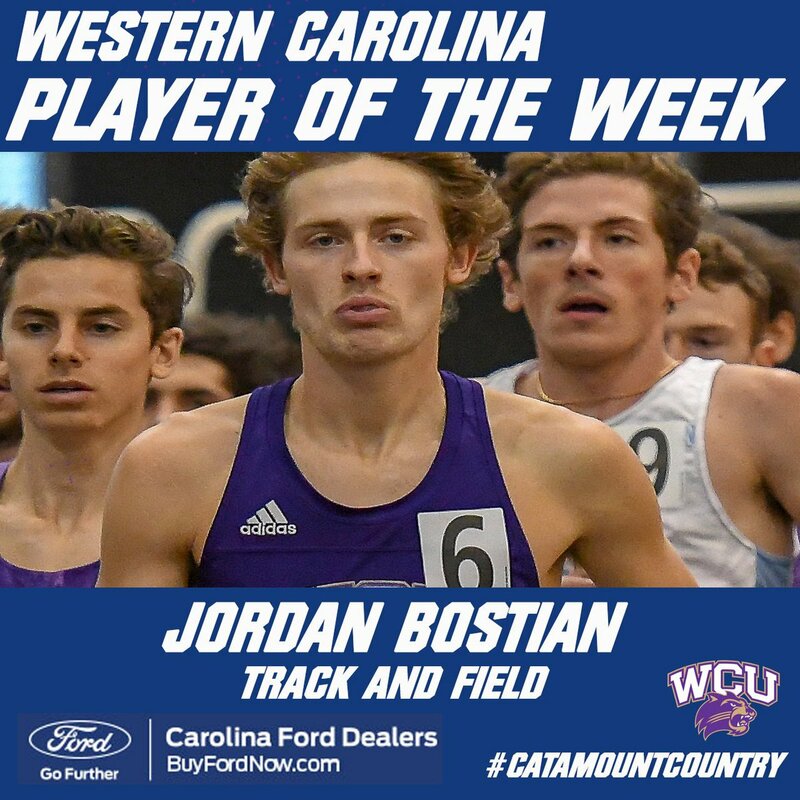 Catamount Player of the Week is track and field's Jordan Bostian who won the men’s 3,000-meter steeplechase in 9:25.52 at the Winthrop/Adidas Invitational last weekend. Louis Theys named the SoCon Men’s Golfer of the Week. 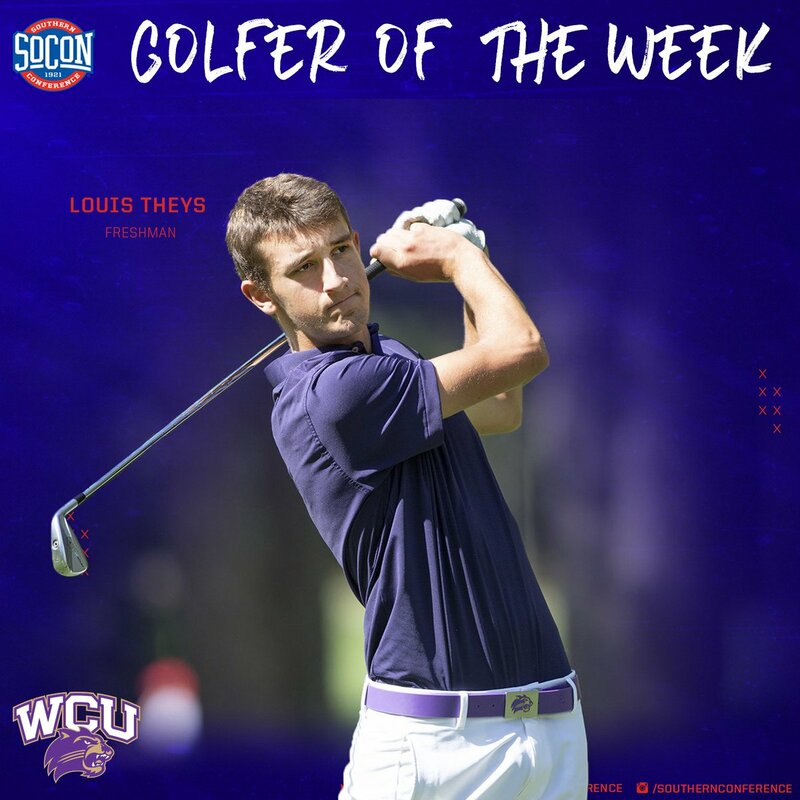 Cullowhee, N.C. – On the strength of his career-best, fourth-place finish at the GCU Invitational last week in Arizona, Western Carolina freshman Louis Theys was named the Southern Conference Men’s Golfer of the Week. Phillip Ely named the football program’s next quarterbacks’ coach. 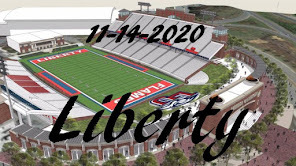 Mark Speir has elevated both John Holt and Tyler Carlton to Co-Offensive Coordinators entering the 2019 season. The final day of conference play for this season takes place on Saturday. First Round - Friday, March 8 at the U.S. Cellular Center. 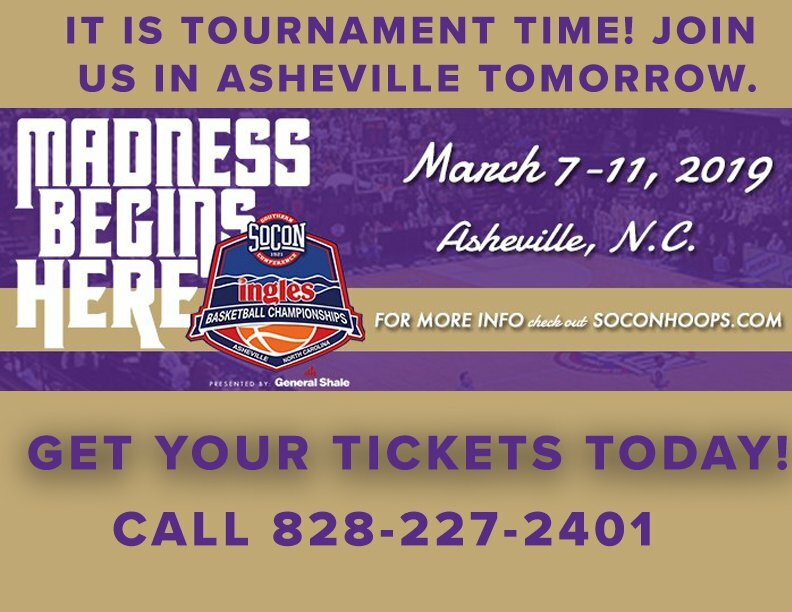 Asheville, N.C.
Game 1 - #8 Western Carolina vs. #9 Citadel at 5 p.m.
Game 2 - #7 Samford vs. #10 VMI at 7:30 p.m.
Game 3 - #1 Wofford vs. 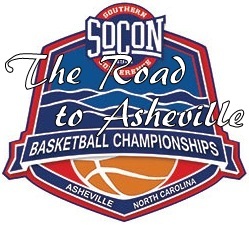 Winner Game 1 (WCU/Citadel) at 12 p.m.
Game 4 - #4 ETSU vs. #5 Chattanooga at 2:30 p.m.
Game 5 - #2 UNCG vs. Winner Game 2 (Samford/VMI) at 6 p.m.
Game 6 - #3 Furman vs. #6 Mercer at 8:30 p.m.